Triumph Herald and Vitesse/Sports 6 database; Find the numbers! 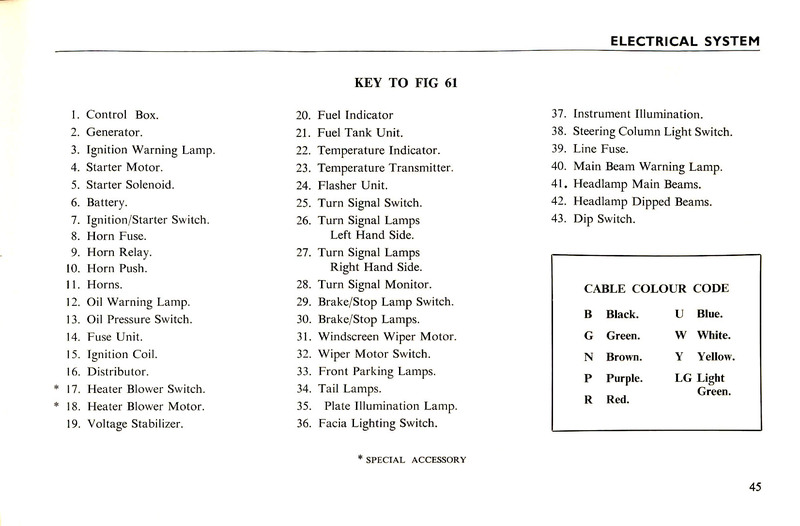 The first wiring diagram and key is from the Owner's Manual for the US-specification 948 Herald sedan. The second is from the Owner's Manual for the US-specification 948 Herald Coupé and Convertible "fitted with twin carburetors.". 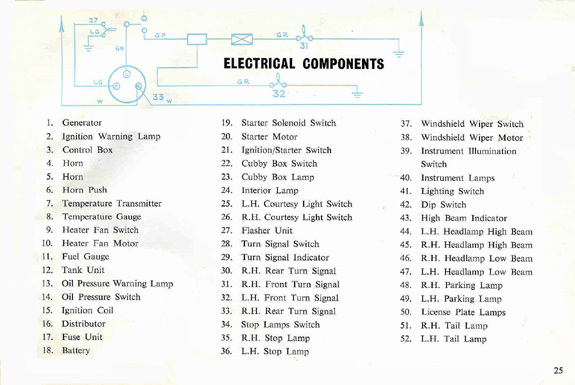 These are the only known (to me) factory publications that show the US-specific wiring for any Herald, 948 or 1200, particularly for such items as the fuse box and column master lighting switch. It may also prove useful to those of you with a Sports 6. You'll need to scroll back and forth to see it all, but I went for a larger size to hopefully make it useful on-screen. I may try for clearer scans in the future. 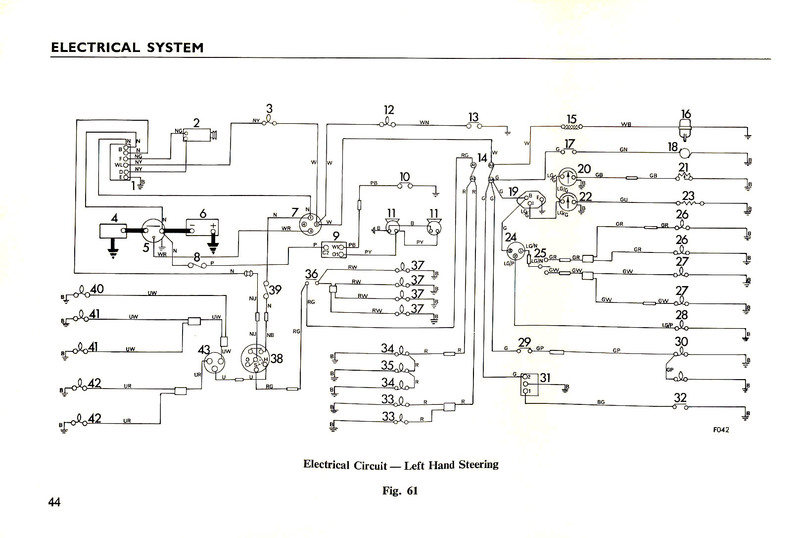 Meanwhile, sharp-eyed readers will notice that there is no indication in the sedan wiring diagram of the temperature gauge that was "standard equipment" on all US-specification 948s and 1200s and on the Sports 6. 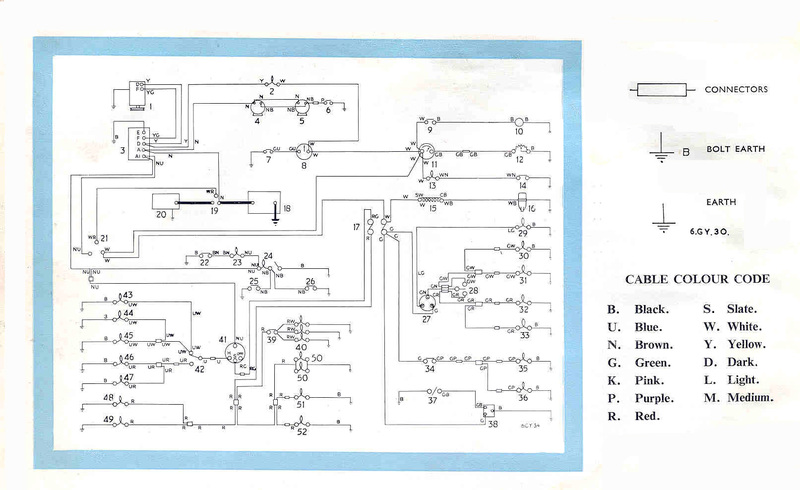 The wiring diagram for the Coupé and Convertible does show that gauge and wiring. 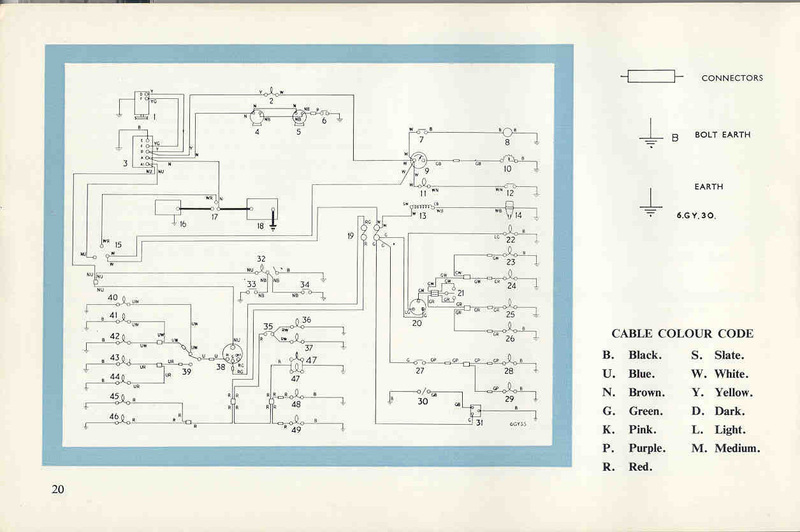 A third diagram shows wiring for the US-specification Triumph Spitfire Mk2. 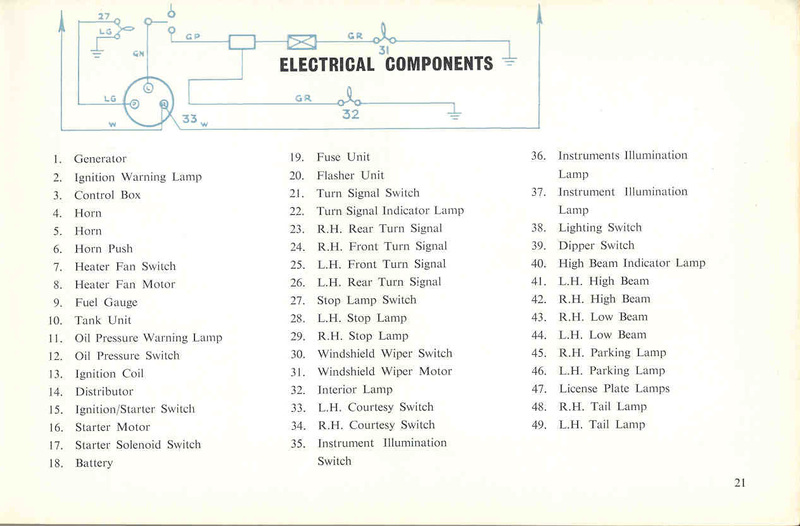 However, this is useful to owners of the US-specification Triumph Sports 6 convertible as it shows the proper column headlamp switch wiring, including the inline fuse, and wiring for the voltage regulator (different from that used on the Herald). New is a wiring diagram for the Triumph 10! Click on either of the below images for a .pdf file containing both pages. Return to the database main page.